Thomas J. 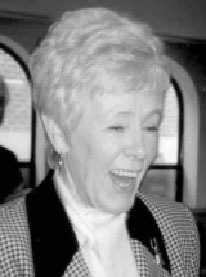 May, 70, of Boothwyn, a systems engineer with IBM and a U.S. Navy veteran, died June 14 at St. Martha Manor in Downingtown. Born in Chester, Mr. May began his career at IBM after serving fours years in the U.S. Navy as an officer. He retired as a systems engineer in 1991 after 32 years with the company. Mr. May attended Immaculate Heart of Mary School, Archmere Academy, and Penn State University, receiving degrees in Physics and Mathematics. He also earned a B.A. in Philosophy from St. Michael's College in Toronto, Canada. Mr. May was an active member of St. Katharine Drexel Church, Chester, serving as a lector for many years. He was also active in the Catholic Alumni Club of the Delaware Valley and the Delaware Valley pro-life movement. Mr. May regularly protested area abortion clinics. He worked to raise money for the Mother's Home in Darby and other organizations dedicated to assisting needy mothers and their children. Mr. May was the son of the late Thomas J. and Catherine T. Battle May. Survivors: Sisters, Marie Litchko of Boothwyn, Kathleen Holman of West Chester nieces nephews grandnieces and grandnephews. Mass: 11 a.m. Wednesday St. Katharine Drexel Church, Chester. Visitation: 6-9 p.m. Tuesday and 9:30-10:30 a.m. Wednesday, Carr Funeral Home, 935 S. Providence Ave., Wallingford, Nether Providence. Burial: SS. Peter and Paul Cemetery, Marple. Contributions: Birthright of West Chester, 201 N. Walnut St., West Chester, PA 19380 or St. Katharine Drexel Church, 1920 Providence Ave., Chester, PA 19013. [S2490] Daily Times, June 17, 2001, online, Accessed via GenealogyBank, May 2, 2017. [S407] McCarthy, Jerome - Death Cert., Los Angeles Co. 1987 0 012456. [S1362] Los Angeles Times, August 18, 1967, page C15, ProQuest Historical Newspapers, Los Angeles Times (1923-Current File), accessed February 2011. [S991] Chicago Tribune, October 11, 2009, Section 1, Page 40. [S1350] Chicago Tribune, November 13, 1944, page 23, ProQuest Historical Newspapers, Chicago Tribune (1849-1987), accessed February 2011. Death*: Margaret "Mickey" Agatha McBride died on 8 October 2009 at Cook, Illinois, U.S.A., at age 87. Death Notice: Chicago Tribune, Sunday, October 11, 2009. Paluch, Margaret A.
Margaret A. "Mickey" Paluch, nee McBride age 87, beloved wife of the late Chester J., loving mother of Thomas (Julianne0, James (Laura), Peg, Michelle (Michael) Precin, Mary Lou (Bill) Rafferty, Patty Jo Schmidt, Rose Ann (the late Richard) Biernat, John and Michael (Erin); adoring grandmother of Maggie, Becky, Dan Kate, Melissa, Matt, Sara, Philip, Colleen, Patrick, John, Jamie, Rose, Joe, Mike, Alexandra and Audrey; dearest sister Regina Schattnik, Patricia J. Lavery, the late Genevieve Loeb, Rose, Catherine, Thomas, Mary and James McBride; fond aunt of many nieces and nephews. Funeral Monday, Oct. 12, 7:30 p.m. Mass at St. Paul of the Cross Church. Funeral Procession will leave Funeral Home at 10 a.m., Tuesday, Oct.13, for interment at All Saints Cemetery. Visitation Sunday, 3 to 9 p.m. and Monday 3 to 7 p.m., at Ryan-Parke Funeral Home, 120 S. Northwest Hwy. (two blocks S. of Tough), Park Ridge. In lieu of flowers, memorials may be made to the Paluch Foundation, 3708 River Rd., Suite 400, Franklin Park, IL 60121-2158. [S1413] Bureau of Vital Statistics entry, Cook County birth registration, Margaret Agatha McBride, born 4 Jun 1922, accessed via Ancestry.com, August 8, 2017. FHL film # 1379112. [S309] US Social Security Death Index, 1935-Current, Ancestry.com, Margaret Paluch, died 8 Oct 2009. [S1413] Bureau of Vital Statistics entry, Cook County birth registration, Margaret Agatha McBride, born 4 Jun 1922, accessed via Ancestry.com, August 8, 2017. FHL film #1379112. [S1346] Cook County Clerk's Office, online http://www.cookcountygenealogy.com, Chestery J. Paluch and Margaret A. Mc Bride, married May 15, 1944, File number 1813764. Accessed August 8, 2017. Death*: Thomas McBride died on 11 November 1944 at Chicago, Cook County, Illinois, USA, at age 61. Death certificate number 31236. McBride -- Thomas M. McBride, beloved husband of Rose, nee Haughey; fond father of Genevieve Loeb, Catechiat Mary Rose McBride, A/S Catherine of U. S. Spars, A. E. M. 2/C Thomas, U. S. N., Margaret Palluch, Pvt. James, U. S. A., Regina and Patricia, brother of Catherine, Julia Klein, Robert, Richard, and the late Pierce. Funeral from chapel, 4401 Lawrence avenue, Wednesday, 9:30 a.m., to St. Edward's church. Interment St. Joseph's. Mul. 4400. [S166] Chicago Daily News, November 7, 1934, Page 35.